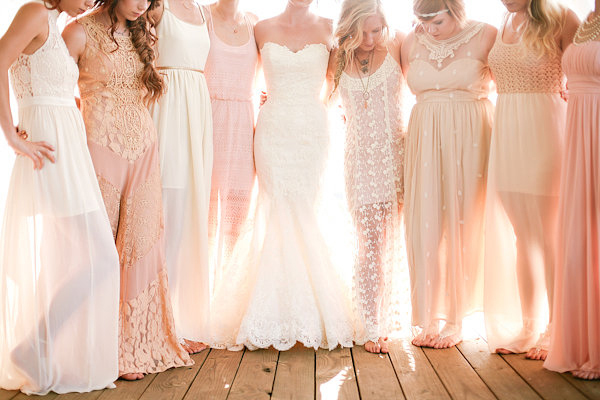 I absolutely love seeing brides choose to have mismatched bridesmaid dresses for their wedding party. 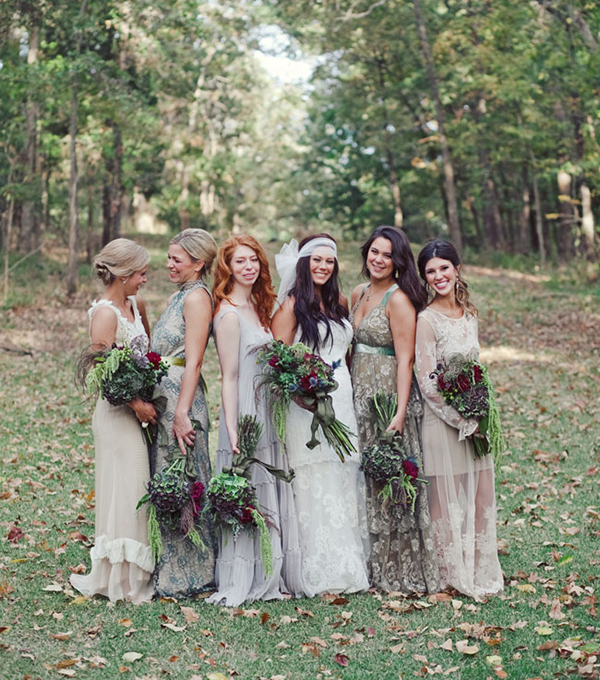 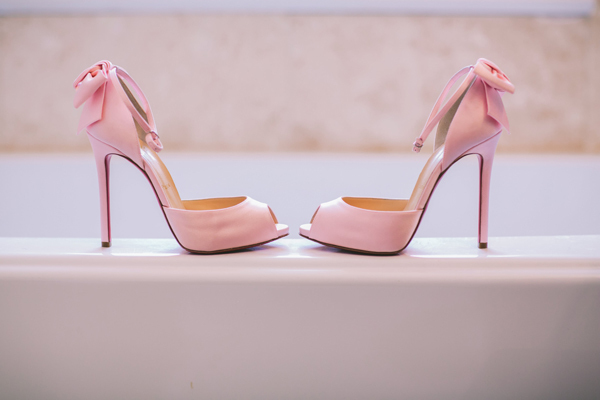 They are so incredibly stylish and they will look amazing in your wedding photos with your bridal party! 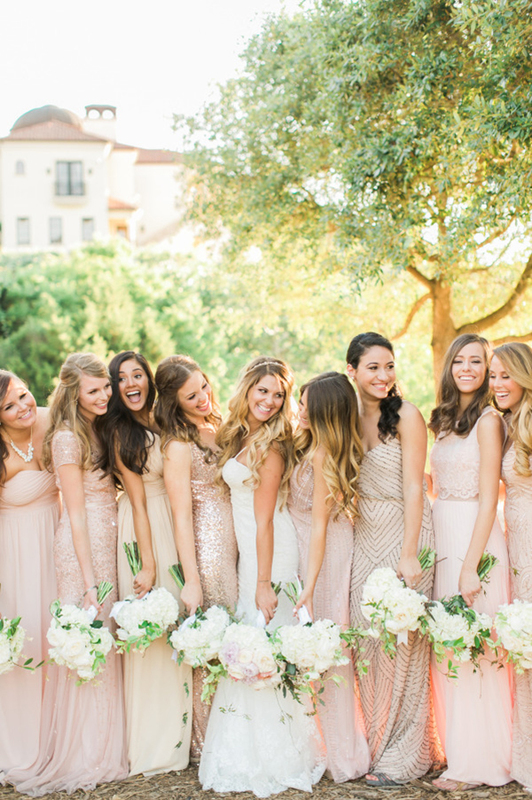 You can choose colors that enhance your wedding colors or you can pick one main color for the bridesmaid dresses and each one will have a lighter shade. 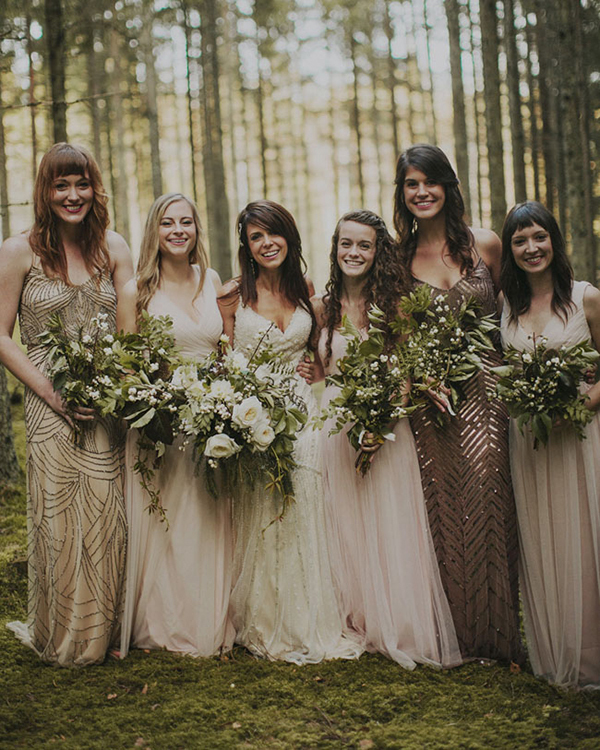 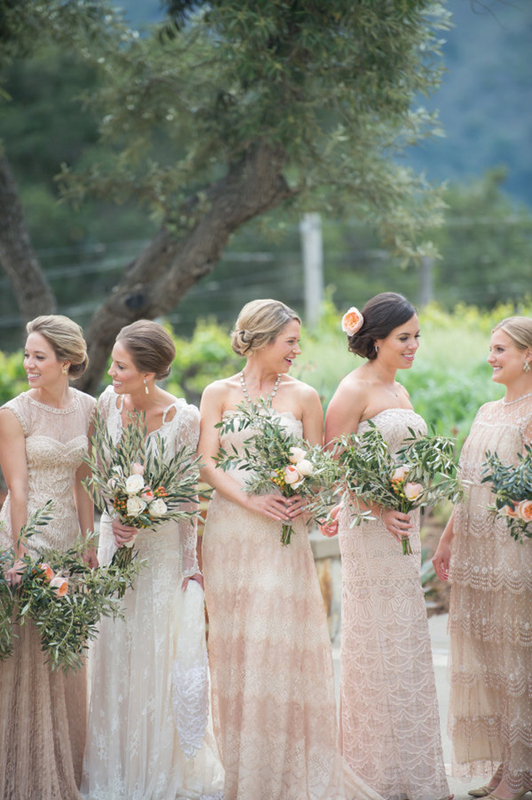 Mismatched wedding dresses can come in the same style yet different colors, or you can have different style bridesmaids dresses (this way each bridesmaid may pick a gown that will be flattering to her body type) and all in the same color. 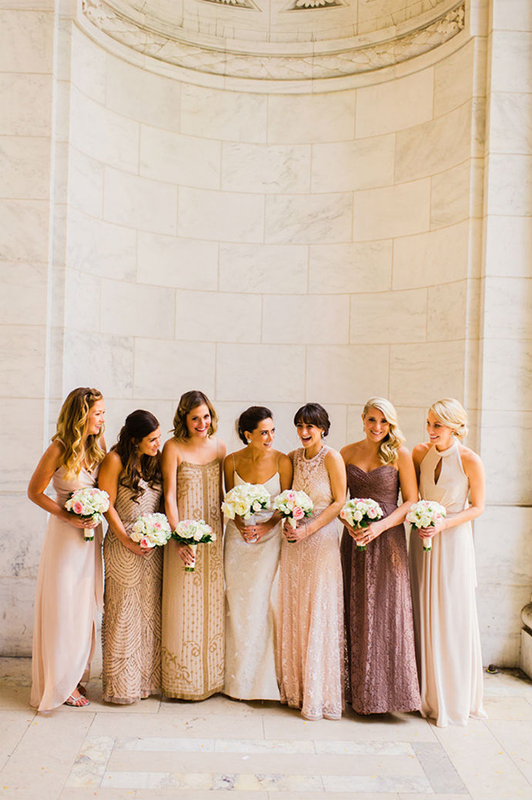 My most favorite type of mismatched wedding gowns at the moment are those that have different shades of the same color (in an ombre type of way) and they a very similar style and of course the floral mismatched bridesmaid dresses in dreamy soft 100% silk and silk chiffon by Plum Pretty Sugar! 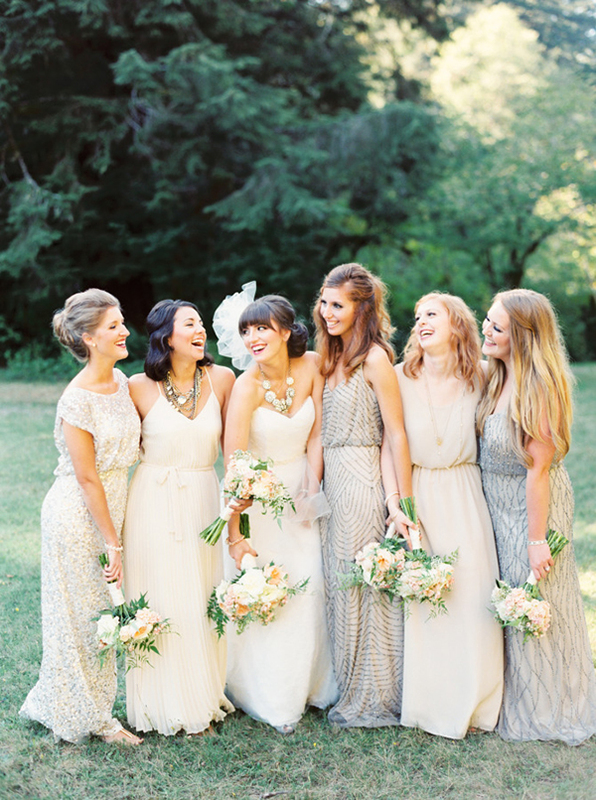 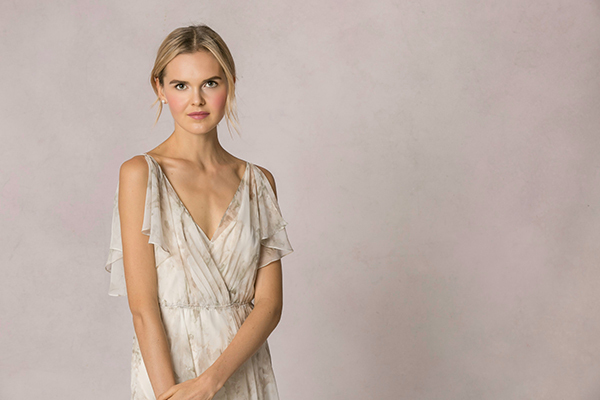 « Swoon-worthy wedding dresses on Bloggers say I do!